Personal trainers are a big help and support, the most exciting benefit of having a personal trainer is that they improve your health and make you fit in less time. Having a personal trainer is so effective that now every man either very rich or employed wants a trainer. Personal trainers help to change your lifestyles and, personal trainers can change your life. 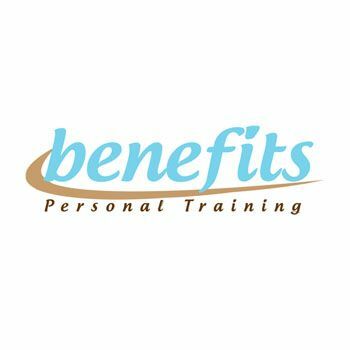 The vital benefits of a personal trainer are that they help to improve your fitness; they give you professional tips which make a lot of difference. They help to maintain your overall strength, balance, stamina and help to improve your will power. Personal trainers do not gives you advices but they also tell you how to live a life full of energy. Personal trainer will never that lose weight but he will teach you how much weight you need to lose and how can you lose it effectively. Trainer will do his maximum effort to reduce your weight and will assist you how to tone up the body. Trainer’s encouragement will lead you to achieve your goals in minimum time period. Many people don’t stick to the instruction and sometimes start following other things, the vital benefit of a personal trainer is that you will stick to one thing. Motivation is always needed when it comes to exercise and lifestyle. Personal trainer motivates you in a way that you can do any sort of exercise. Personal trainers are sometimes dealing with clients who have dubieties, bones problems. If you have such sort of problems the trainer can also work on the advice of the physician. This way you can recover in less time period and you can reach all the goals related to health in no time. Personal trainer not just makes you do things but they also tell you how to use the machines and other equipments. They tell you the correct exercise for body parts and you get to know a lot from them. Personal trainer are your personal, they see you and design a program just for you so always act upon their advices. Make sure you do things which help your body and these programs helps to overcome your weakness. These trainers are very efficient, they teaches you new and effective skills. They can assist you in things you lack and they help to overcome your fears. Personal trainers are a blessing; they at times are relaxing your mind and soul at the same time. They even groomed you in things and tell you different techniques and exercise which are best for mind such asyoga. The best thing of having a personal trainer is that you don’t have to go to gym and you can work out any time at home. You also do not need so much equipment for that. The vital part of having a personal trainer is that you learn new things and when you realize that there is someone else who is paying attention to you and is worried about your healthy, you feel happy. Personal trainers helps you a lot, they make sure that the exercise you are doing in is fine. They are taught and been told techniques which are helpful to you. They prevent you from all the injuries. Many people do exercise which is not making any difference to them so having a personal trainer is best, as they can guide you. These personal trainers are very important but find the exact trainer for you. Make sure that you have a first free trail session with the trainer, this will help you to know the person. Personal trainers at time are best because you can share your things which they and you can feel relax. There are many things which you can’t share with anyone else but these personal trainers can help you, they at times are also doing your psycho therapy which is needed at times.